Children's Aid Society: Happy 105th Birthday! In honor of our 105th year, we're sharing some important milestones from our history. CAS was formed in 1912 by a group of prominent citizens in Birmingham to care for dependent and neglected children in Birmingham and Jefferson County. The incorporation papers were signed on February 21, 1913. 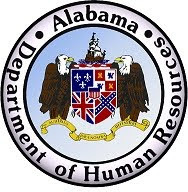 CAS helped care for children in need before the existence of the Alabama Department of Human Resources. In 1917, CAS organized as the "Alabama Children's Aid Society" to serve as a state-wide organization. 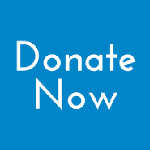 In 1924, the Children's Aid Society became part of the Community Chest Fund, what is now United Way of Central Alabama. One of our former Executive Directors, Will Gaines Holmes, also celebrated her 105th birthday this year. Immediate past Executive Director, Joyce Greathouse, shares her birthday, February 21, with Children's Aid Society. Thank you for being a part of our 105-year history!